Meet one of the legendary 'rafter cats' here at Best Friends! Cats like these make wonderful companions-from-afar. You can't hold them or pet them - at least, not yet. But they think and feel and love, just like the rest of us. And if you give them the chance, they can be a real part of your home. They just haven't had any experience being pets. Tommy came to Best Friends from a terrible hoarding situation in Nevada. Born in 2005, he's in good health, and he gets along well with other cats. Shy cats like these have always been an important part of Best Friends' culture. They have special spirits and deep personalities. 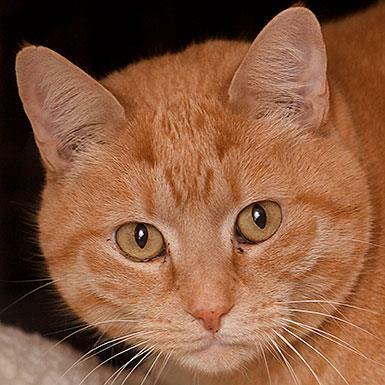 And this beautiful cat would love to be a part of your life.